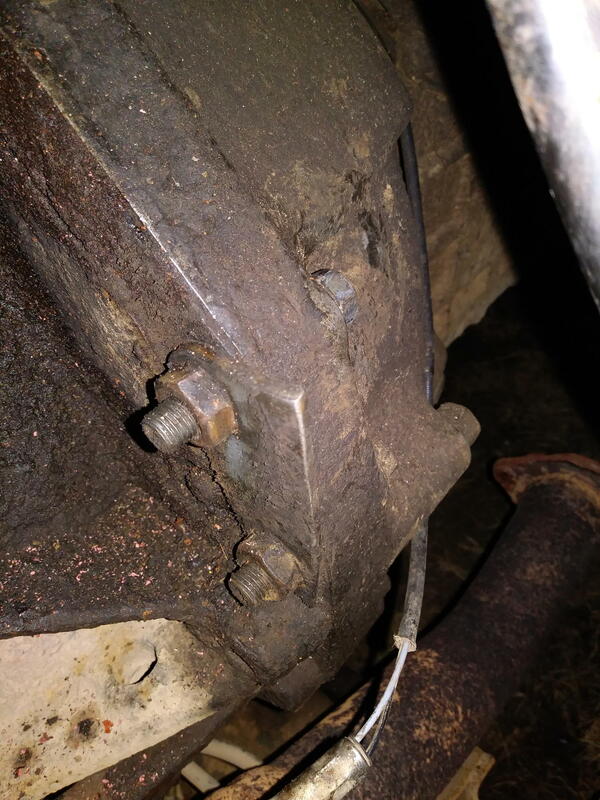 hi all so I picked up a 93 b2600i 4x4 last may for 400 dollars, all it needed was a fuel pump to run so i replaced it... took 11 hours because i didnt know much, but since then its come a long way, but I have this persistent issue, the exhaust brace,bracket, hanger, what ever you wanna call it that mounts to the transmission bell house is cooked, the previous owner cut it off with a recip saw so it has to come off, only problem is it wont come off.... I either want to buy a new one which good luck cuz no site ships to canada or what im going to do is make a new one out of 1/8 steel, though i need the dimensions, like the gap between bolt holes on the bell house, I have it soaking in penetrating fluid now and ill try again tomorrow, but any tips to get the dang thing off? I'm trying the bolt not the nut because it looks like the nut is on the mount.